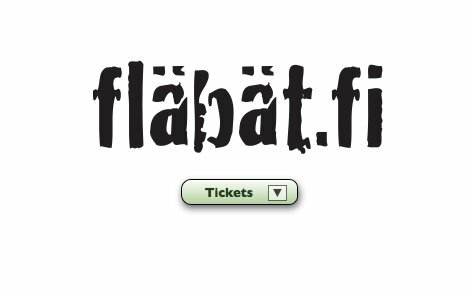 This year, with our new island venue for the festival, and a scheduled Pixelversity programme of education events throughout the year, we also adopt a new online ticketing service called Fläbät. Some of you maybe have already used to buy festival passes and food tickets before attending, now is chance for more of you to get acquainted! Fläbät is developed by a Helsinki (in fact Kaapelitehdas) -based small business enterprise called Scred. Currently in public beta, it has already been extensively used for different-scaled independent and participatory events in Helsinki: http://www.fläbät.fi/about.